Wait, what? Hiatus? Yes, but only a temporary one day hiatus. 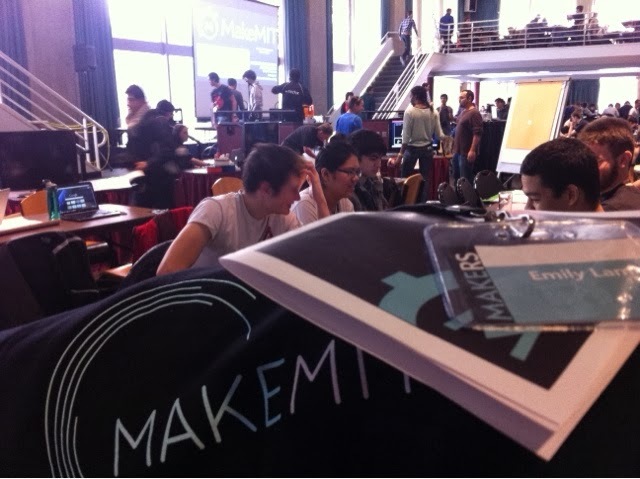 Today (technically yesterday now) I participated in makemit, which is a 16 hour hardware hackathon and well yeah, no time to make or prepare food. My friend had invited me to this right after I had just bought all my food for the two week SNAP Challenge.The hackathon just looked too good to turn down: there was so much cool hardware to hack with: arduinos, accelerometers, 3D printers, infrared sensors, gyroscopes, raspberry pies, bluetooth modules, wifi shields, etc. However, I couldn't just push back the SNAP challenge because I had the food and I was ready. So what I decided to do was to just push the challenge back a day. I will still do 14 days. Just with a one day break, because honestly, I didn't want to miss out on such a cool event because of a self-inflicted food challenge, especially when the hackathon was free. Compare to the past week, what I ate today was pretty much junk food. I was literally running on sugar. No wonder I didn't feel tired. Now, I feel completely exhausted; I nearly fell asleep in the shower. But it was a fun time. Our hack was underdeveloped -- we spent too much time on brainstorming and not enough on implementation -- but we got to play with a lot of cool hardware and took home some swag. It was a good time. Now, I can return to my daily challenge.